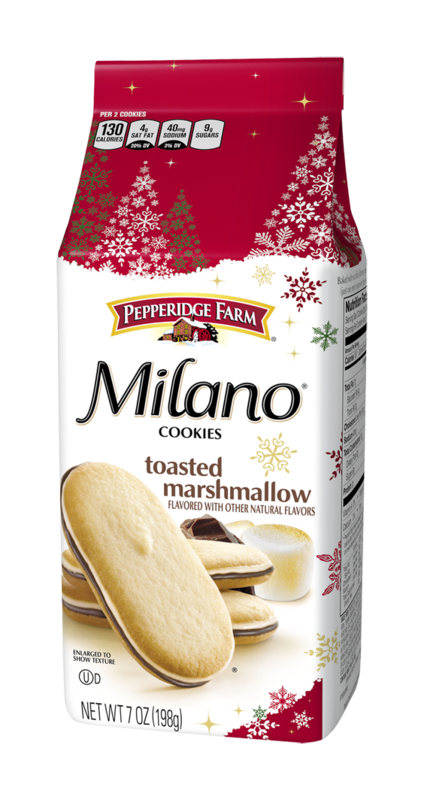 There is a NEW Toasted Marshmallow Milano cookie now available nationwide. The SRP is $3.69. Winter is officially here and with the cold, wintry temperatures comes fire pits and roasted marshmallows! 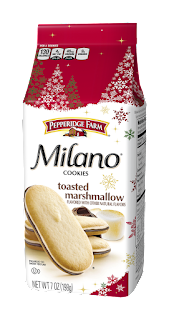 The great chefs over at Pepperidge Farm created a few amazing dessert and cocktail recipes featuring the new Milano flavor to help celebrate the launch! Chocolate heaven for sure. 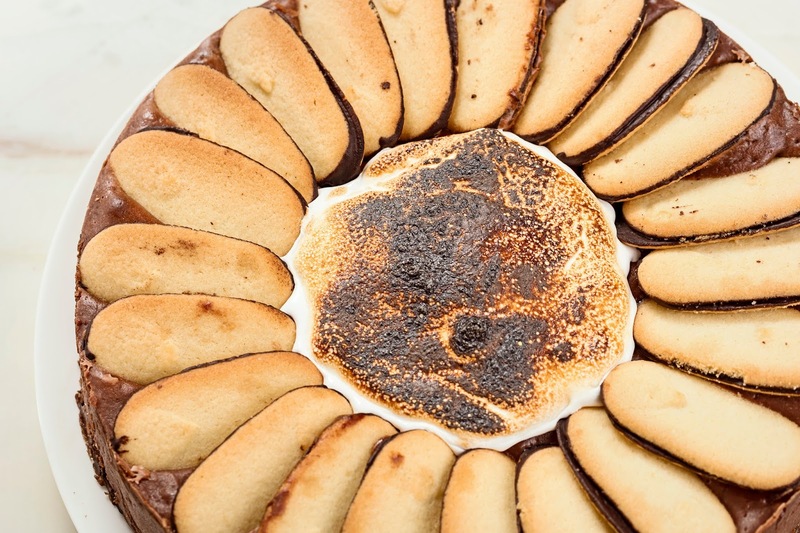 This cheesecake is filled with cocoa chocolate chips, Milano cookies and marshmallows baked to ooey-gooey perfection. 1. Preheat oven to 350°F. Butter 9-inch-diameter spring form pan. 2. Blend cookies in a food processor until finely ground; blend in sugar. 3. Add melted butter and process until well blended. 4. Press crumbs evenly onto bottom pan. Bake just until set, about 5 minutes. Cool while preparing filling. Place chocolate chips in metal bowl over saucepan of simmering water until melted, turn off heat. Place cream cheese, sugar, and cocoa powder in a mixer until smooth, add eggs one at a time, pour in chocolate and mix until smooth. Pour filling over crust and add 12 Milanos evenly pushed slightly into filling. Place in oven and bake until center is just set and just appears dry, about 1-hour, turn off oven and prop oven door open slightly for 1-hour. Remove from oven and chill overnight in refrigerator. The next day remove cheesecake from oven, remove from pan. 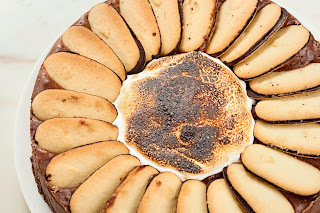 Smooth marshmallow topping, brown with blow torch. This elegant treat will be a fireside delight for your guests. The mouthwatering Dutch cocoa and espresso filling are sure to disappear fast. Make the custard: Whisk the egg yolks and sugar in a metal bowl set over a saucepan of barely simmering water until the sugar dissolves, whisking constantly until custard reaches 170 degrees. Place the bowl over another bowl with ice water and chill the custard. Put the mascarpone in a large bowl. Fold the custard into the mascarpone with a rubber spatula until combined and set aside. Combine the coffee and coffee liquor in a shallow bowl. Dip the Milano in the coffee mixture quickly and in the baking dish in a single layer. 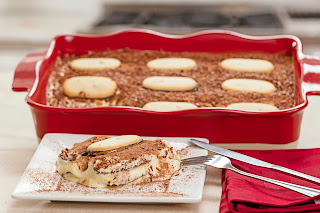 Spread 1/3 of the mascarpone mixture over the soaked Milano layer. Repeat with a second layer of coffee-dipped Milano, arranging them in the opposite direction. Top with another one-third of the custard. Repeat with the remaining Milano, alternating directions. Spread the remaining custard on top and dust with the cocoa powder. Cover with plastic wrap; refrigerate at least 4 hours, or overnight. Looking for way to please your guest this holiday season? Share a little heavy cream, espresso and vodka with this cocktail that will make any gathering a tasty success! Combine the Bailey’s, Vanilla Vodka, Peppermint Schnapps, and Espresso in a cocktail shaker filled with ice cubes. Shake for 15 seconds and strain into a cocktail glass. 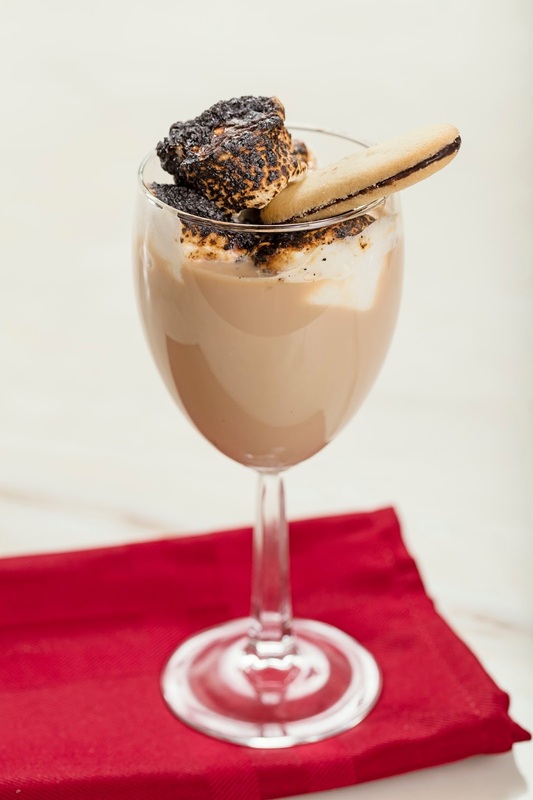 Place the marshmallows on top of the glass and use a flame to torch the marshmallow (carefully), garnish with a Toasted Marshmallow Milano and serve.